The invincible William Brown considers he is jolly well equal to solving most of life's trickier problems, although devising a plan to get the elder brothers of the Outlaws married off might be a considerable challenge... Shedload Theatre presents a love letter to Richmal Crompton's classic characters in a fresh and dynamic adaptation. Fusing live storytelling, screaming and screaming, music, knights of the square table, Foley sound effects, the Outlaws trademark gusto and all the best intentions. Shedload Theatre have taken Just William's Luck from its debut at The Edinburgh Fringe Festival in 2017 all the way to Warsaw in Poland for an exciting week in March 2018, in which we performed to over 3000 children! In May the tour picked up again going to Great Yarmouth and The Everyman Theatre in Cheltenham, both theatres an absolute treat to perform in. We then came back to home turf at The Garage in Norwich to a sell out show on the 6th of July, we received a warm welcome of some of the heartiest laughter we've ever heard. On the 24th and 25th of July we arrived at the Courtyard Theatre in London for our previews, though the weather was hot, this didn't stop our wonderful performers pulling off this fast paced exciting show. Then finally we arrive back where it all began, the Underbelly, Cowgate to an exciting conclusion to our fantastic tour. It has been a long year, and our performers deserved a big rest afterwards, but as you can see from the reviews at the top of the page, it was worth it and a show we are very proud of. 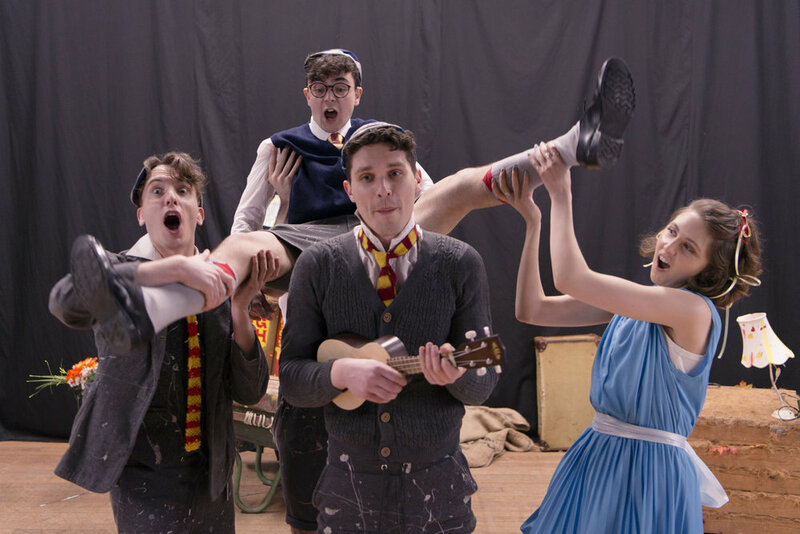 Adapting well-loved source material can be a tricky art, but Shedload Theatre have managed to maintain the essence of Richmal Crompton’s Just William stories in this riotous hour of slick and clever theatre that will appeal to children and adults alike.